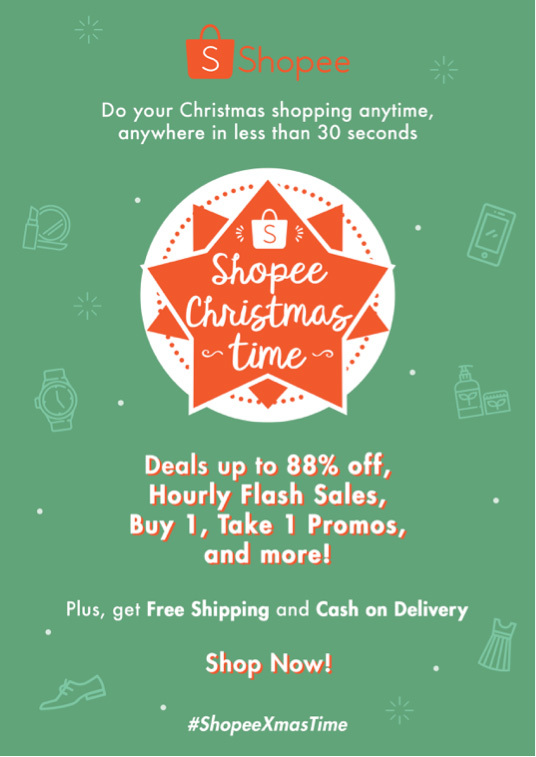 Score great holiday deals with Shopee! With the different holiday offers and activities lined up for Christmas shoppers to enjoy, Shopee, the largest and fastest-growing mobile marketplace in Southeast Asia and Taiwan, stands as one of the best solutions for Filipinos who are shopping for Christmas gifts. The Shopee Christmas Time celebration continues with 1,200 Items at P120 & Below where users get to enjoy selected deals from multiple categories! Another sale to watch out is Fa-la-la-Flash Sale, where Filipinos will be able to enjoy discounts starting at 50% off for 12 selected items everyday from different categories such as Health & Beauty, Fashion, Mobiles & Gadgets, among others. Shopee is also offering the Beat the Sunrise Sale for late shoppers, offering discounts starting at 50% off across all product categories. Shopee’s big-name brands are also offering exclusive sales with Better Than The Mall. Beauty lovers will enjoy discounts from brands such as I Heart Makeup, Organic Surge, Ciracle and Makeup Revolution. Fashionistas, on the other hand, will enjoy discounted prices from brands such as CLN and Unisilver Time. For parents, aunts and uncles looking for the perfect gifts for their children, nephews and nieces will be able to seize the discounts from brands such as Disney, Winx, Messy Bessy, Big & Small Co., and more. Watch the Shopee Video to know more here! “We highly encourage Filipinos to spend more time with their loved ones this Christmas, and one of the best ways to do that is to shop conveniently through Shopee. With an app that is easy to use, combined with the great deals we have in store for our consumers, Filipinos will have fewer things to worry about as they enjoy this holiday season,” says Macy Castillo, Head of Commercial Business at Shopee Philippines. Shopee offers Free Shipping nationwide with Cash-On-Delivery as a payment option as well. 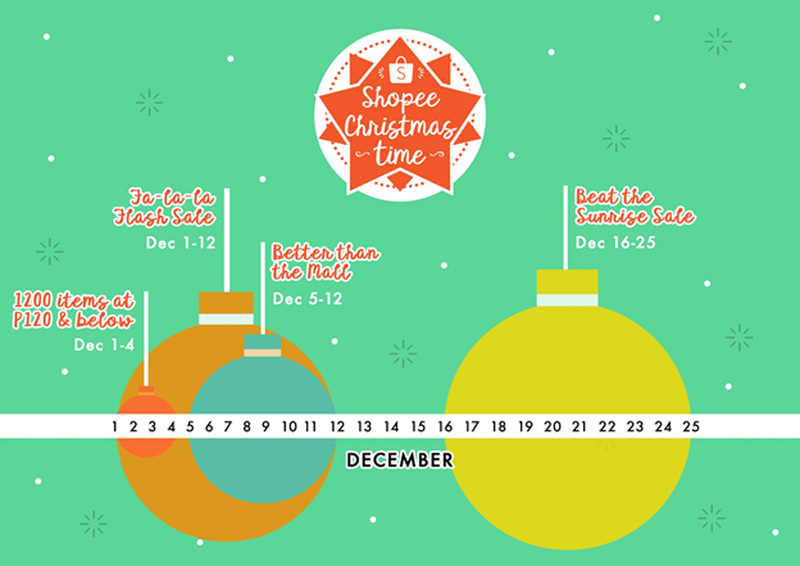 For more details about Shopee Christmas Time celebration, you may visit christmas.shopee.ph.